Considered as the holy abode of Lord Krishna, a form of Lord Vishnu, Guruvayur is a popular pilgrim town located in the Thrissur district of Kerala. It is one of the most famous religious destinations in God’s Own Country. The temple is often dubbed as “Bhooloka Vaikuntam, which literally means “Holy abode of Vishnu on Earth”. It is the most important place of worship among Hindus. 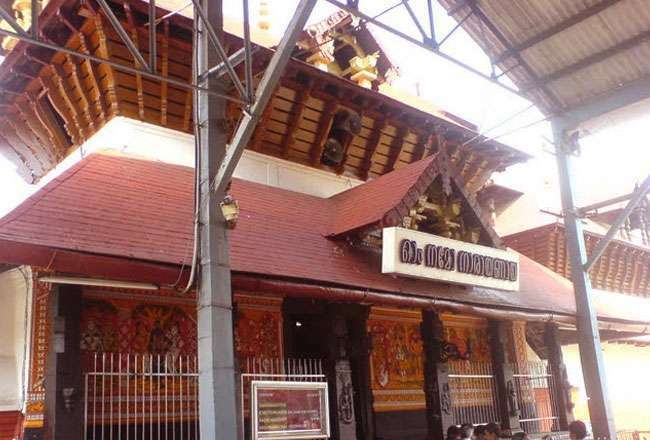 It houses the famous Guruvayur Sree Krishna Temple, the fourth biggest temple in India in terms of number of devotees visiting here. Other places that are worth visiting in this town are the Elephant Sanctuary at Punnathur Kotha, ISCKON Centre, the Mammiyur Temple and Chowallur Beach. Thrissur is the nearest railhead to Guruvayur. It is located at a distance of around 27 kilometers from Guruvayur. Thrissur is well-connected to all major railway stations in India such as New Delhi, Mumbai, Chennai and Bangalore. Taxi cabs ply between Thrissur and Guruvayur. Nedumbassery International Airport, Kochi, is the nearest airport to Guruvayur. It is located at a distance of 110 kilometers away from Guruvayur. Kochi airport is well-connected to all major cities in India such as Bangalore, Chennai, New Delhi, Mumbai and Kolkata. Taxi cabs ply between Kochi and Guruvayur. The National Highway 7 and the National Highway 47 connect Bangalore and Guruvayur. For tourists travelling via car, the journey from Bangalore to Guruvayur will take around 8 hours. Super Deluxe buses connect Guruvayur with other important cities such as Bangalore, Coimbatore, Chennai, Kozhikode, Trivandrum and Kochi.